The September following a World Cup is about as far as you can get from the most important tournament in the sporting world. This gives national team coaches maximal flexibility to experiment. United States head coach Jürgen Klinsmann took full advantage of the opportunity when the Americans battled the Czech Republic last Wednesday, inviting six players who had never been capped into the prematch training camp. So who are these guys, how did they do during the 1-0 USMNT win, and what does the future hold? We have you covered. 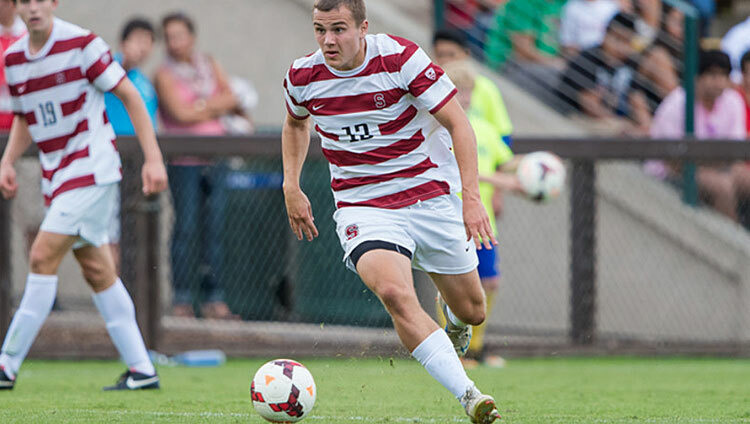 Spoiler alert: Go buy Jordan Morris’s Stanford uniform. Who is he? As the son of U.S. international Phillip Gyau and grandson of Ghanaian legend Joseph “Nana” Gyau, the speedy 21-year-old winger certainly has the pedigree to succeed at the international level. Gyau played on the U-17, U-20, and U-23 squads, and Klinsmann called him into camp before a 2012 friendly in Russia. Over the summer, he moved from Hoffenheim to Borussia Dortmund. Gyau will begin the season on the German powerhouse’s U-23 team after spending preseason with the first team, but he could figure into hipster head coach Jürgen Klopp’s plans before the season is over. What are his 2018 prospects? Very good. Over the past year or two, Gyau has worked hard to combine his impressive athleticism with a more refined sense of the game. His first senior-team cap came later than some expected, but he will continue to earn more calls, especially if he breaks in at Dortmund. The American fan base loves the dude, and the inevitable Gyau–DeAndre Yedlin pairing might break U.S. Soccer Twitter. Just remember: You’ll never be his biggest fan. Who is he? The way-down-the-road successor in the U.S. net, Cropper started all three matches during the 2013 U-20 World Cup and could make his Premier League debut at Southampton this season. 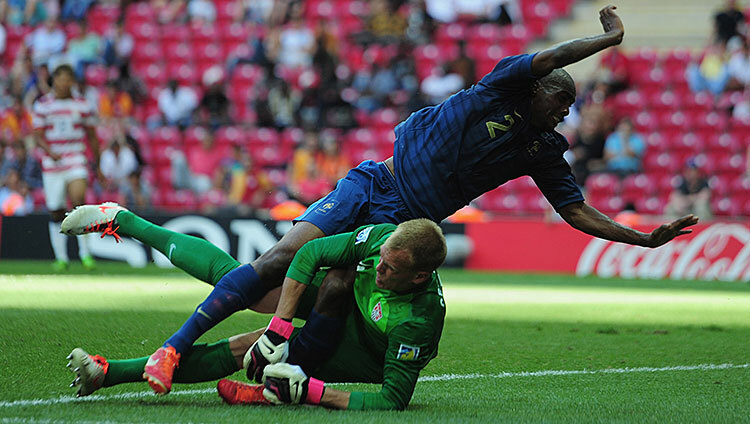 He moved to England three years ago and trains under English goalkeeper coach Dave Watson. He’s just 21 and no higher than fourth on the U.S. depth chart, but he’ll get his shot eventually. What did he do against the Czechs? He was the only player who did not suit up. I told you he was the future. What are his 2018 prospects? He won’t start. Brad Guzan (or a 39-year-old Nick Rimando) has that role locked up if Tim Howard doesn’t return, but Cropper could certainly make the team as a second or third option. He’s improving faster than the Major League Soccer goalkeepers like Sean Johnson or Bill Hamid, and he’s already one of the best pure shot-stoppers in the player pool. Give him a couple of years between the pipes at Southampton and he’ll be ready. Who is he? 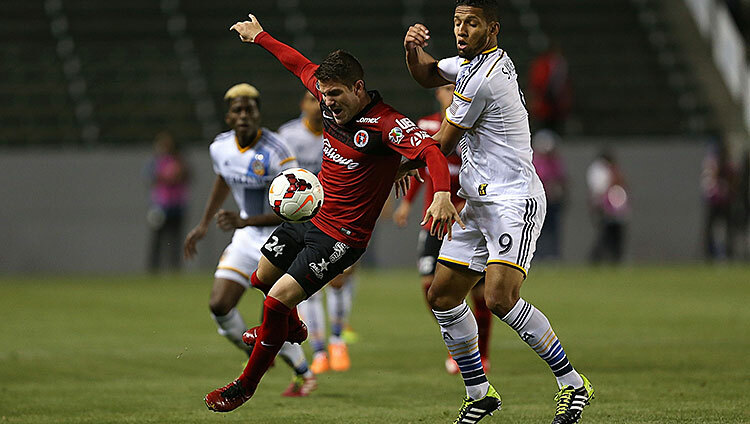 The oldest of the uncapped players in Prague, Garza plays left back for Club Tijuana, where he teams with Americans Joe Corona, Paul Arriola, Alejandro Guido, and currently on loan Hérculez Gómez. He’s an attacking threat, who can play wing midfield as well has been a fixture at the youth group level. His game has blossomed over the last 18 months as he finally found consistent playing time. What did he do against the Czechs? Garza entered the match just after the hour mark and almost immediately got beat on a through ball, resulting in an excellent chance for the Czechs. He proceeded to wipe out on the T-Mobile banner just off the pitch. But he showed flashes of strong defending as the match progressed. It wasn’t a great debut but not a terrible one, either. What are his 2018 prospects? 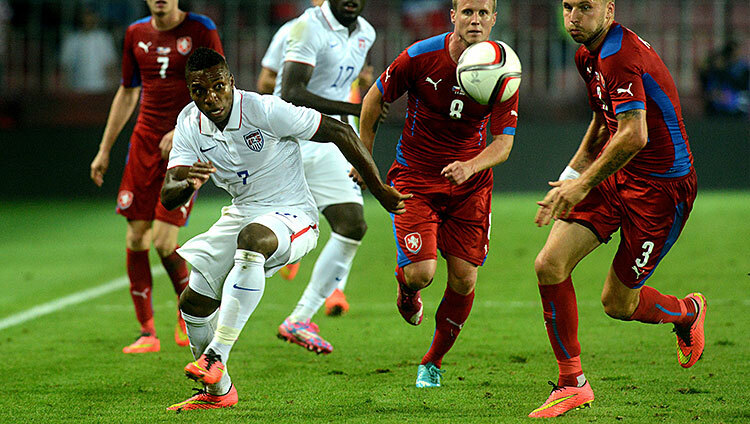 The U.S. is perpetually in search of quality left backs — DaMarcus Beasley can’t play forever. Garza is in the conversation, almost by default, but it’s hard to see him in Russia, especially with Timmy Chandler only 16 months his senior. Who is he? Another player with strong bloodlines, his grandfather, Schellas Hyndman, played in the American Soccer League and coached a powerhouse at SMU before moving to FC Dallas. Emerson Hyndman, 18, earned rave reviews for his smart passing in three central midfield appearances with Fulham this season. U.S. U-18 manager Javier Perez, who was in Prague with Klinsmann and the crew, believes the former Dallas Texans star can make an impact on the senior level. That would be the logical path for a player whose name scouts have whispered as the Next Big Thing for at least four years. What did he do against the Czechs? He only had a little more than 20 minutes to make an impression, joining the match in place of goal scorer Alejandro Bedoya. Hyndman completed seven of eight passes and showed strong resolve to win back the ball, but he didn’t have much opportunity to show off his incisive vision. What are his 2018 prospects? They’re about as good as any 18-year-old midfielder’s can be, which is to say this: Who knows? Give him a cycle with a youth team or two before penciling his name into your 23-man Russia roster. Besides, he still looks like he could play for the U-14s. Who is he? U.S. Soccer’s 2012 Young Player of the Year chose the red, white, and blue over Mexico, and he recently signed with Utrecht in the Dutch league, where Michael Bradley and Jozy Altidore came of age. 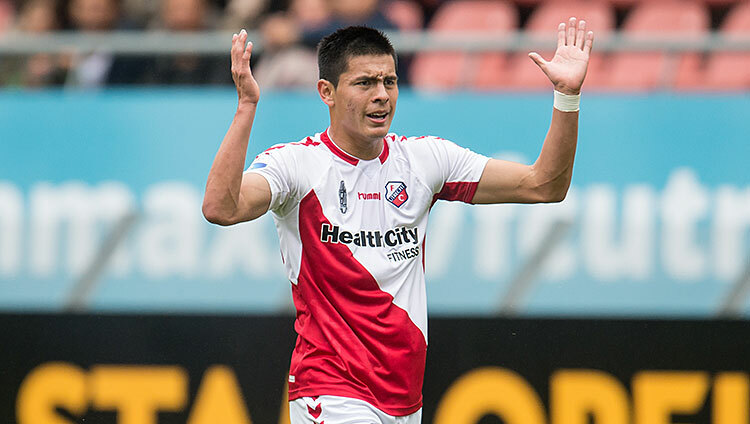 Rubin started and earned an assist in his Eredivisie debut. The forward scored 14 goals in 37 appearances for the American U-17 side, and Tab Ramos cited him as one of the key players in the next U-20 cycle, despite being a year younger than most of his teammates. What are his 2018 prospects? He certainly has a shot. Rubin isn’t anywhere close to where he needs to be, but he’s still a teenager and is playing in one of the best leagues in the world when it comes to development of attacking talent. It’s not like the Americans have a whole lot of attacking options. Who is he? The Stanford sophomore is the first collegiate player called to the U.S. senior team in 19 years, earning All-Pac-12 honors last year but missing Sunday’s 2-1 overtime win against Nebraska-Omaha because he was, you know, in Prague with the freaking USA. He’s big and strong (5-foot-11, 185 pounds) with good technique for a teenager. “He’s a forward, very simple, he reads the game very well ahead, he sees the space in front of him and can take people on one-against-one, and at the same time he knows his path is a different one,” said Klinsmann, a guy who knows something about scrappy, smart, talented forwards, after watching him train for a few days. What did he do against the Czechs? He watched from the bench, an infinitely better view than from a dorm-room television. Don't be shocked when its all said and done if @J_Klinsmann tells us that he "wishes" he would have given Morris more thought for Brazil.